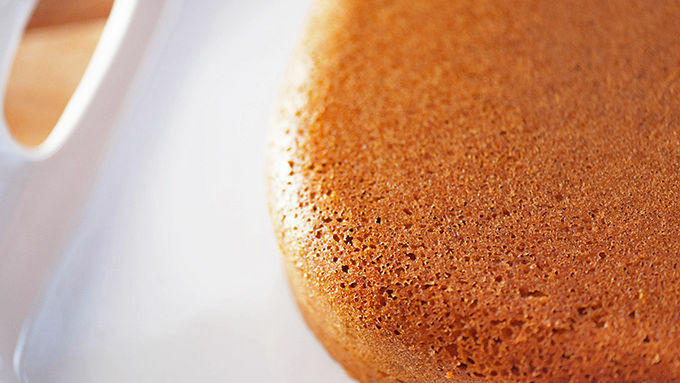 In a large bowl, combine the dry cake mix, sugar, eggs, vegetable oil, sour cream, water and pumpkin. Beat with an electric mixer for 2 minutes on medium speed. Spray the crock of a 6-quart slow cooker with non-stick spray. Add the cake batter to the slow cooker and cover. Cook on low heat for 2 hours or until the cake has pulled away from the sides and a butter knife comes out clean when inserted in the center. Place a large serving platter or tray over the top of the crock and carefully flip upside down so that the cake falls out onto the tray. Be sure to use oven mitts, as the crock will be hot. Let cool completely. To serve, top the cake with whipped cream and caramel sauce. All slow cookers vary, so keep a close eye on the bake time and adjust accordingly. 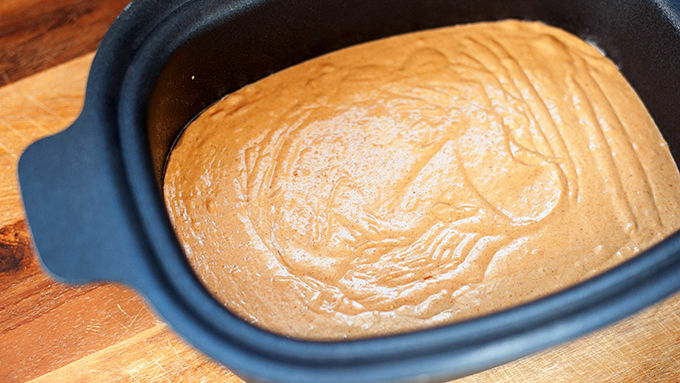 When removing the lid from the slow cooker, do so quickly or the condensation on the lid will drip onto the cake. This fall-inspired cake is full of spiced pumpkin flavor and rich caramel sauce. Do you know what's the worst? Like, the worst the worst? Well. It’s when you’re dying for dessert, but you already have dinner in the oven and you can’t make your dessert. That’s the worst. Lucky for you, I have a solution. The slow coooker! For real, guys. 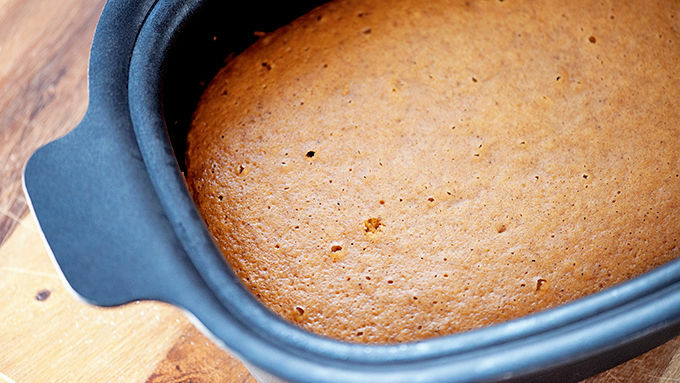 You can make cake in the slow cooker. We all know how juicy and moist meat from the slow cooker is, but I bet you didn’t know that it would have the same affect on cake! It does. Totally moist. Maybe not juicy, because eww. No one wants a juicy cake. We’re starting with a box of cake mix, because we like things easy. We’ll be adding some pumpkin, a bit of sour cream, and some other goodies to doctor it all up and make it extra fab. Once it’s in all mixed up, you just pour it right into your greased slow cooker. We’re using a 6-quart slow cooker for this. Any shape should be fine. Every slow cooker is different, so you’ll definitely want to adjust the time frame based on your cooker. The trickiest part of this whole shebang is getting the cake out of the slow cooker. Aaaaand, it’s actually not that tricky, so don’t freak out. Just take a large plate, cutting board, tray, or whatever and place it over the top of the crock. Flip the crock upside down and the cake should plop right out. 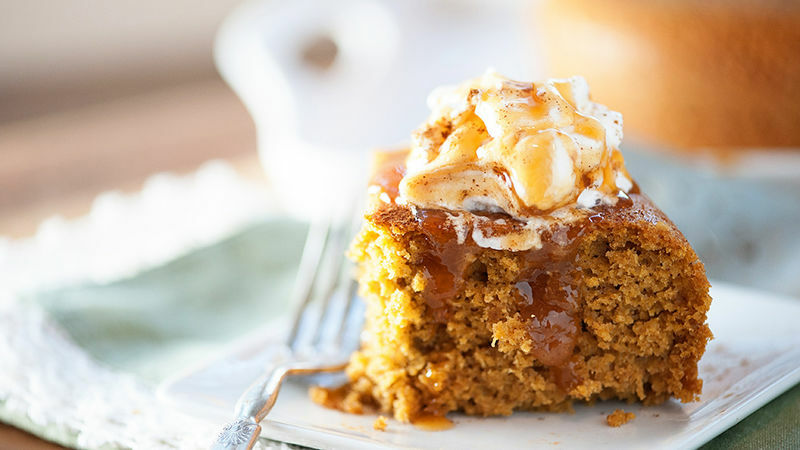 This cake is so moist and flavorful that all it needs is a bit of whipped cream and some caramel sauce. You’re going to love it!